All Servers will be under maintenance at 04:00 AM EST, server time 03:00 on Augest 3rd. 1.Point carnival event is online from August 3rd to August 15th. Claim reward time is August 16th. 2.Smash egg event is online from August 3rd to August 9th. 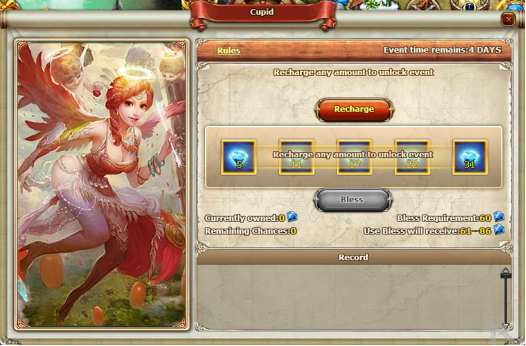 3.Cupid event is online from August 3rd to August 9th. 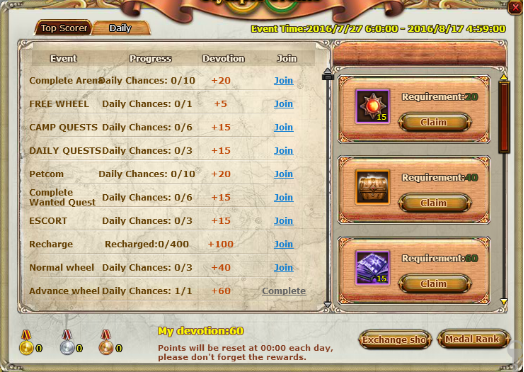 B.You can bless by using bless chance and spending diamond. C.You will obtain amounts of diamond after bless. 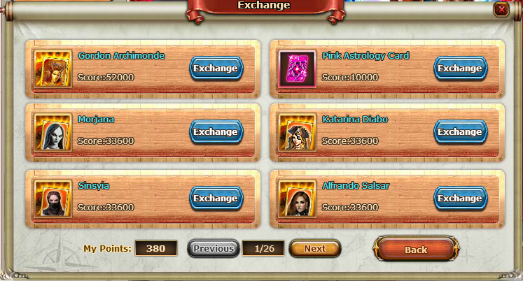 D.Your remain bless chance will not be reset during the event. 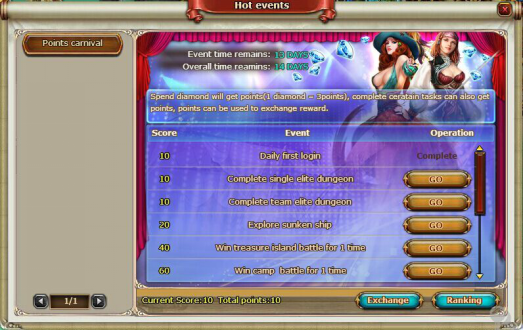 E.Please notice that the diamond you spend in this event will not be counted in other events. 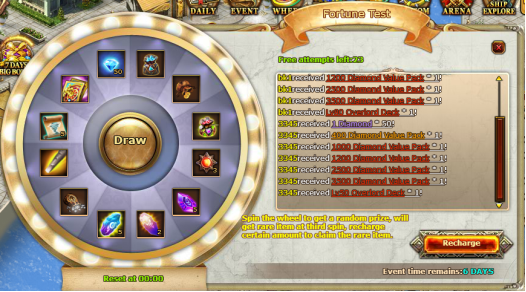 4.Fortune Lotto event is online from August 3rd to August 9th. B.You will get rare reward every 3 times you spin! Recharge certain amount to claim the rare item. 5.The part 2 of Olympic event is online from August 3rd to August 9th. A.You have two chances for free to shot chest each day. There are 3 types of chest (Golden, Silver, Bronze) in game. You will obtain corresponding chest when you shot successfully. 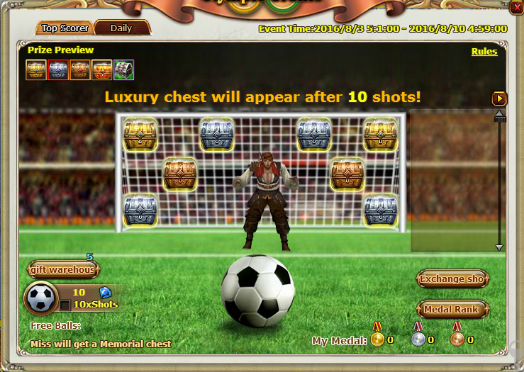 If you miss the target, you also will obtain a memorial chest. B.You will obtain corresponding medals after opening chest. 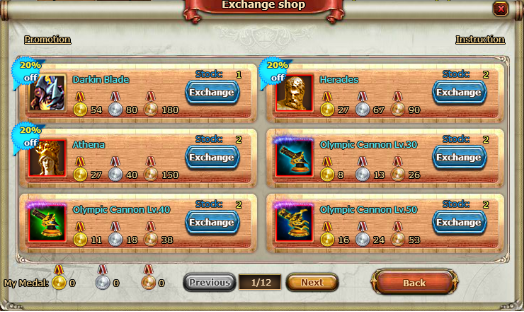 Medals can be used to exchange item in shop. The items in the shop will be updated every week. Please grab the chance. D.You will be on the rank list when you collect enough medals during the event. 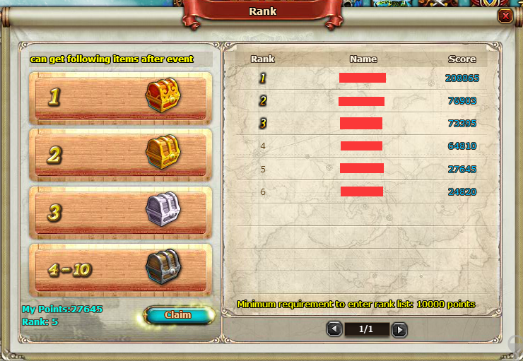 The rank reward will be sent to you by system mail. 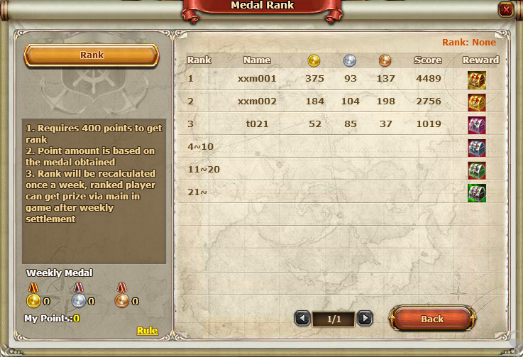 The rank will be reset every week. 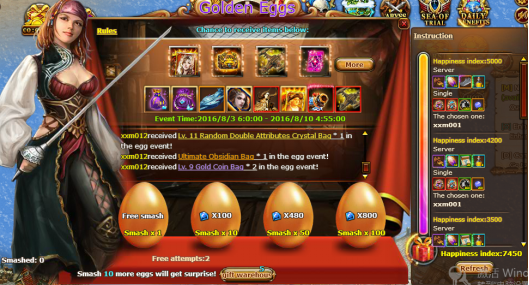 6.Introduce new golden pet ‘Darkin Blade’ to the game.